Cape Town – Government’s decision to increase the rate of a dividend withholding tax and apply it from 22 February 2017 when the Budget Speech took place creates tax uncertainty, Parliament was told on Tuesday. The standing committee on finance hosted public hearing on the Rates and Monetary Amounts and Amendment of the Revenue Laws Bill, which will enable tax rates changes announced during the 2017 Budget. 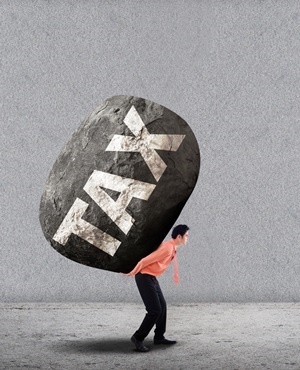 In the submissions made on the tax proposals both the SA Institute of Tax Professionals (SAIT) and the SA Institute of Chartered Accountants (Saica) criticised the date on which the increased dividend withholding tax will come into effect. In the 2017 Budget, former finance minister Pravin Gordhan announced that dividend withholding tax would increase from 15% to 20%. The increased rate would furthermore apply to all dividends paid from 22 February (when the Budget Speech was delivered) onwards. Erica de Villiers, head of tax policy at SAIT pointed out in the organisation’s presentation that the increased rate would also apply to dividends declared before the 2017 Budget, but paid after this date. “Dividends declared before the Budget should not be caught, as this undermines tax certainty,” De Villiers said. She added that companies need to meet corporate governance requirements before declaring dividends and excess tax (such as the increased rate for dividends withholding tax) distorts the outcome for shareholders and companies alike. When the dividends tax was initially introduced, De Villiers said, it applied to any dividend declared and paid on or after 1 April 2012. Any dividends declared before the date on which the amendment was announced were subject to the “old rate”. Saica’s Tracy Brophy and Pieter Faber also argued against the backdating of the dividend withholding tax rate increase. They also questioned if the finance minister has the legal mandate to change dividend taxes specifically before the new tax legislation is enacted by Parliament. Saica argued that a dividend tax rate can only be enacted once passed by Parliament and by implementing a rate change before the law applies undermines legal certainty. READ: Is SA's tax mix appropriate? “The dividend withholding tax proposal is retroactive, as it will apply to dividends declared before the Rates and Monetary Amounts and Amendment of the Revenue Laws Bill is enacted,” Saica said. In response to the submissions made, Christopher Axelson, director of personal income taxes and saving at National Treasury disagreed that the increase in dividend withholding tax was “retroactive”, meaning the increased rate would take effect from a date in the past.